The New Website at tugpilots.co.uk now contains the roster which automatically adjusts to the device it is being viewed on. 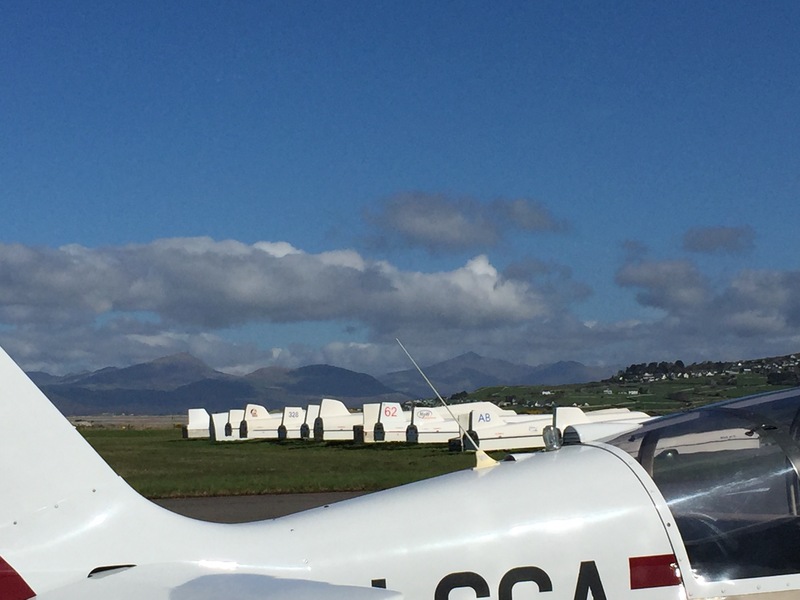 I hadn’t even considered flying to Snowdon today, but after discussing the chances with a few other pilots when on the grid I decided to go for it. Snowdon looked very far away when sat on the runway and I had to keep reminding myself that it was as close as Milton Keynes is to Dunstable! I launched just as the clouds started popping and soon found that most clouds were giving 3 knots or more so I set off towards Snowdon shortly after take-off. The leg to Snowdon was fairly easy, requiring only four climbs and never going below 3,000 feet. Bumped into Alex Hippel in 803 over Portmerion and we stuck together until the foothills of Snowdon. Alex went east and I headed further west along the valley next to Snowdon. I must have had more luck because I arrived at the summit about 20 minutes before Alex! I spent the next 45 minutes ridge soaring the west face of Snowdon and providing plenty of entertainment for the hikers that were at the top. During this time, I was joined briefly by Andrew Brown in AB heading further North and then later on heading back to Llanbedr. As I headed back to Llanbedr the clouds started to dissipate quite rapidly and when I returned to the local ridges they had pretty much vanished further inland so I was glad I had visited Snowdon early! Anyway, that’s enough about my flight. Tim Jenkinson managed an impressive task out to Talgarth, the Long Mynd, Snowdon and back. 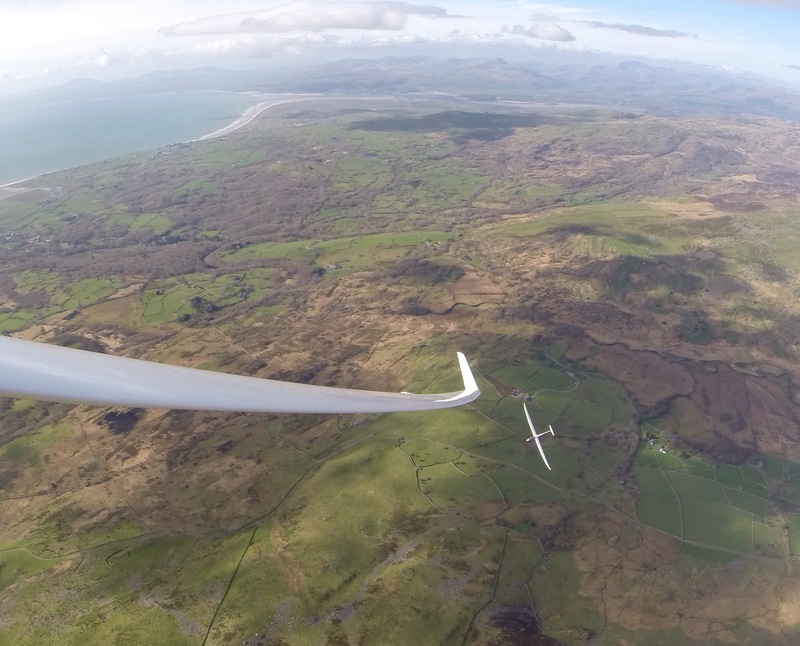 Tony Hughes reached the Menai Straits but ended up landing out near Bala, which is the first landout in LGC’s two years of Llanbedr expeditions! Thanks to Graham Pursey and Paul Boet for going and fetching Tony.